Madchem is a fast grower for an indica dominant plant and is able to fill a space with potent buds. The buds are fairly large but the biggest advantage of the Madchem is the enormously strong effect when consuming this kind. A strong stoned with a touch of high to amplify the experience. The combination of Herijuana, chemdawg and white widow has turned out to be a slam dunk! If you thought you had tried just about everything, and you you’re not afraid to take a punch I would advise you to give this madchem strain a go, you will be amazed by the effect of this indica. 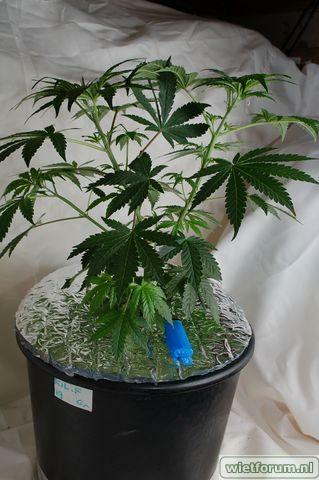 Because the Madchem is quite a stretching grower, it can be very useful to use a SCROG net and tie the buds here. This strain is highly recommended or lovers of diesel-like flavours as there are several gradations diesel and sour varieties. Our Madscientist (White widow X Herijuana) is an indica dominant cross which we have been selling for quite a while and on which we received nothing but positive feedback. Madscientist is a very powerful strain with a strong effect of heavy stoned and knock out effect. The Chemdawg is a very potent indica plant which is seen as a phenomenon in the USA and personally I also became a fan. The potency and effect are sublime with this plant but above all it’s the taste of skunk and diesel that I am looking for in this crossing of 3 extreme indica's. 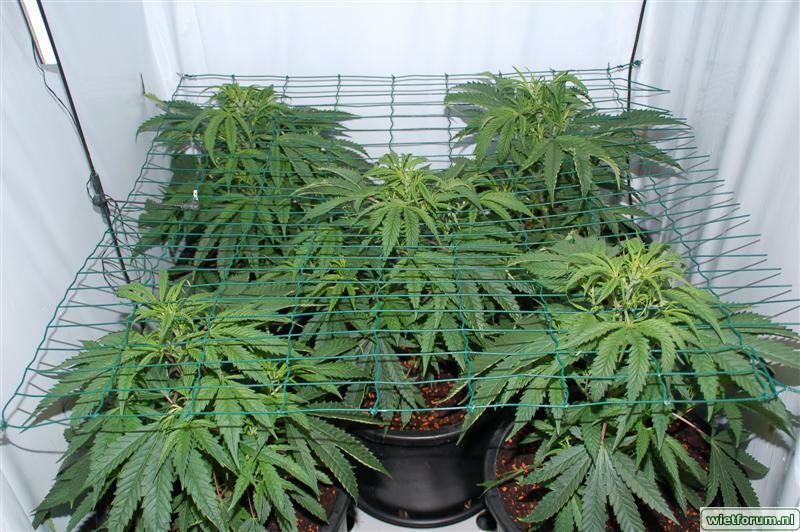 The Madchem is a sizable grower for an indica dominant plant and has the tendency to grow broadly and spindly, allowing the Madchem to grow easily in Scrog as well as a regular SOG setup provided a little support. This also reduces the growth time. 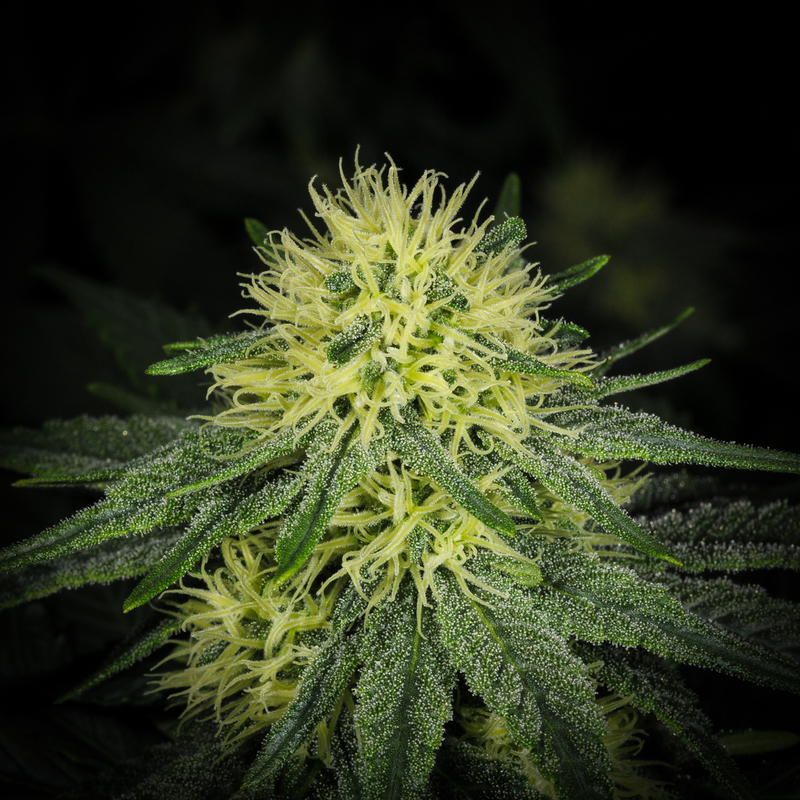 After converting the light hours, the Madchem will show rapid flowering phenomena and then produce flowers at high speed which form on average large (reasonably long) buds that stand out because of the idea that they are snowy with trichomes. With 7-8 weeks she is ready quickly and she performs to put a nice weight in the scales. Madchem is easy to harvest because the buds are slightly further apart and has a small amount of leaves which ensure that you will be finished quickly. 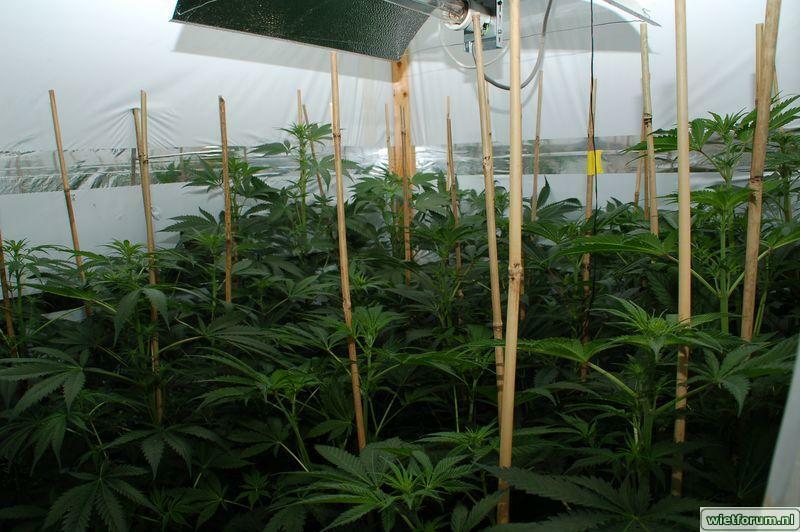 After 2-3 weeks, hang the plants upside down in the dark area and you will be able to taste the perfection after lighting up. Because of the above average yield for an indica dominant plant, she quickly gained popularity with many of our customers and has justly earned her place in sanniesseeds. By using strong and powerful genetics and making the right selections, we have succeeded in creating a strain that can easily take on the biggest names on the cannabis seeds market. Sannie and Knutsel have ensured that this cannabis strain became the success that it is today and after several years of selling this variety as a “Breeders choice” she has now rightfully earned her place in sannie seeds. It’s obvious that with these properties the Madchem is an excellent strain to use for all kinds of ailments or pain control, we offer a number of options for several afflictions but we would advise you to find out which type works best for your condition. The smoke of the Madchem is a bit heavy on the throat but is full of flavour and by easeful habituation you will improvingly taste the grapefruit coffee with undertones of diesel scents.